Sanjeev Joshipura is an international business, leadership and public policy consultant based in the Washington, DC area of the United States. His specialty lies in the US-India realm but he has worked often with organizations in other countries as well. Sanjeev runs the SJ Consulting firm (www.sjconsultllc.com). He also serves on the Advisory Board of iSPIRT, the Indian Software Product Industry Round Table (www.ispirt.in). In addition, he serves as a Consultant to the FutureNet Group, a technological security company (www.futurenetgroup.com). As part of his work, Sanjeev coaches US diplomats going to India and South Asia on business, economic and management issues. He is a sought after and frequent international public speaker and coach, including by private sector companies, governments and trade/industry associations. Sanjeev’s professional background encompasses business and public policy in India and the U.S. He has worked as a financial and business analyst in India, first at South Asia’s largest mortgage bank and then at a Fortune 100 European multinational. He has also worked in management positions in the United States in the corporate strategy, finance and project management realms, first at the healthcare division of a Fortune 100 diversified engineering firm and later at a human capital consulting company. In the policy and political realm, Sanjeev has worked on Capitol Hill as an economic, international, financial services and US federal budgetary advisor to US Senators and Congressmen. He has also managed a US Senate political election campaign and led an international industry association with corporate members in the financial services and commodities arenas. 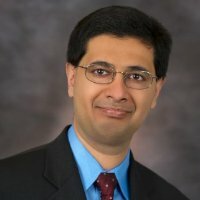 Sanjeev holds a Bachelor’s degree in Computer Engineering from Pune in India, an MBA from the University of Toronto in Canada, and a Certificate in Financial Risk Management from the Illinois Institute of Technology in Chicago, USA.